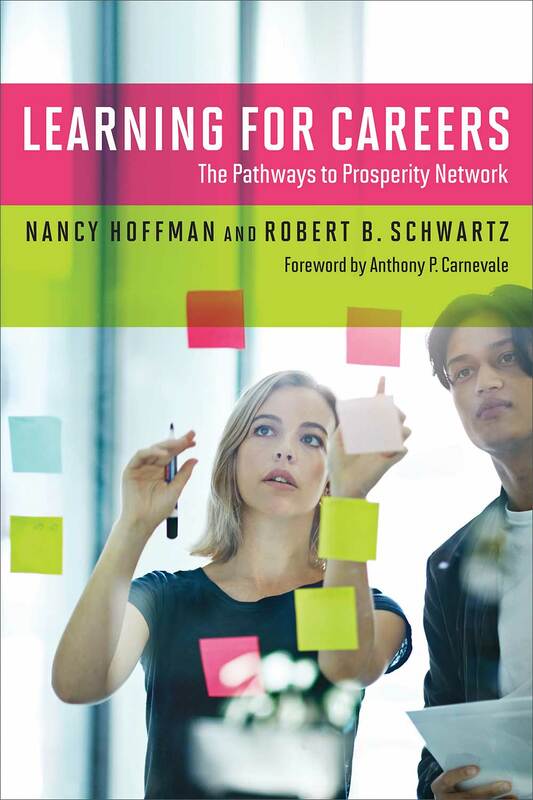 In a lifetime, one will spend nearly 90,000 hours at work, says Nancy Hoffman, co-author — with her husband, Senior Research Fellow Robert Schwartz — of the new Harvard Education Press title, Learning for Careers. So why, then, aren't we educating students to enter the workplace? In Learning for Careers, and with their work with Pathways to Prosperity (Schwartz is also a co-founder), Hoffman and Schwartz look at how to create more sturdy pathways for students from high school to career, exploring ways to bring post-secondary learning and career education into secondary schools — early exposure that has proven to have positive impact on completion and retention rates. It is important to remember, says Schwartz, that the goal of high school is no longer just college. Career must be considered. In this edition of the Harvard EdCast, Schwartz and Hoffman discuss their new book, Pathways to Prosperity, and what they’ve learned about preparing students for the workplace.